Like it or not, sometimes we need to put a monetary value on people's lives. In the past, government agencies used the financial "cost of death" to monetize the mortality risks of regulatory policies, but this method vastly undervalued life. Pricing Lives tells the story of how the government came to adopt an altogether different approach--the value of a statistical life, or VSL?and persuasively shows how its more widespread use could create a safer and more equitable society for everyone. In the 1980s, W. Kip Viscusi used the method to demonstrate that the benefits of requiring businesses to label hazardous chemicals immensely outweighed the costs. VSL is the risk-reward trade-off that people make about their health when considering risky job choices. With it, Viscusi calculated how much more money workers would demand to take on hazardous jobs, boosting calculated benefits by an order of magnitude. His current estimate of the value of a statistical life is $10 million. 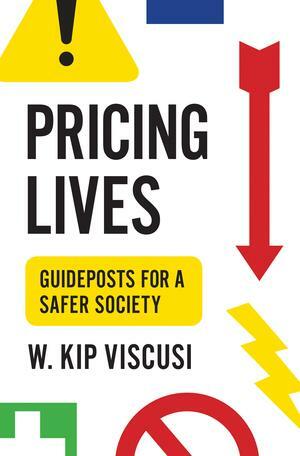 In this book, Viscusi provides a comprehensive look at all aspects of economic and policy efforts to price lives, including controversial topics such as whether older people's lives are worth less and richer people's lives are worth more. He explains why corporations need to abandon the misguided cost-of-death approach, how the courts can profit from increased application of VSL in assessing liability and setting damages, and how other countries consistently undervalue risks to life. Pricing Lives proposes sensible economic guideposts to foster more protective policies and greater levels of safety in the United States and throughout the world.